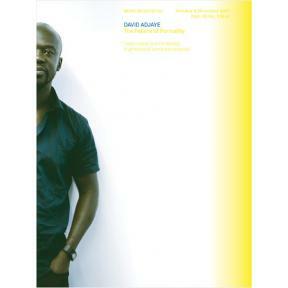 Our first architecture issue is dedicated to the most controversially discussed young architect David Adjaye. The British designer and architect gained a solid reputation with a series of private houses for renowned public figures such as Ewan McGregor, Chris Ofili and the Chapman brothers before moving on to the next level with several public spaces due to open by the end of this year, including a museum for contemporary art in Denver. Equally famous for his charm as for his distinct use of rare and conflicting materials and his unorthodox approach to projects, Adjaye now ranks among the most successful architects of his generation. With mono.kultur, David Adjaye talked about his idea of modern architecture, his research project on Africa and how buildings can affect the way we live. The issue is a designer’s delight, printed in its entirety in three pantone colours.